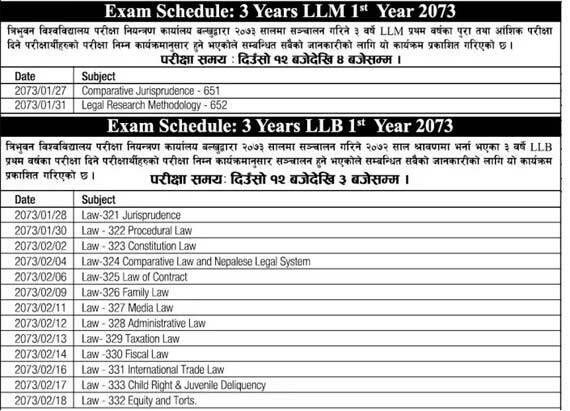 Tribhuvan University office of the controller of examination, Balkhu has published the examination schedule of of 3 years LLB First year and LLM First year 2073. > Exam start date: Baishakh 27, 2073. > Exam start date: Baishakh 28, 2073.